BEFORE I knew Swamiji personally, I had heard much about his greatness from persons who had moved and lived with him on the closest terms of intimacy. Therefore, when it was announced in the year 1893 that he had gone over to America to represent our religion at the Chicago Parliament of Religions, I started following his movements with the closest attention and the greatest interest. I was anxiously waiting to see if his achievements would not confirm me in my very high estimate of him. I need not tell you, people of Madras, that every bit of my expectation was much more than satisfied. But till I saw him with my own eyes, the perfect satisfaction of knowing the man could not come. Till then I could not be quite free from the secret misgivings that I might be after all labouring under a delusion. So you see, gentlemen, that I did not meet Swamiji as one in any way biased against him. The throbbing interest and convincingness which attach to the glowing description of the conquest of opponents of a great man of overmastering personality does not belong to my subject. I may say, I was already a great admirer of his. But I must say at the same time that it was not too late in the day to retrace my steps and give Swamiji up as one unworthy of my love and esteem if facts were found to give the lie. Perhaps, the shock which such a disclosure would have given to my mind would be too painful; perhaps it would have cost a great drenching of the heart. But I can assure you that the instinct of moral self-preservation was yet stronger than my admiration of Swamiji, and cost how much it would, the heart could not long cling round him if reason and moral sense condemned him with one voice. And what was the nature of the greatness I was expecting to see in Swamiji? It was not the dashing and daring spirit displayed by a heroic warrior on the battlefield, nor the fine ethereal vision and ecstasy of the poet, nor the vast erudition of a scholar, nor the dazzling intellectual flourish of the master controversialist, nor the quick penetration and the wide comprehension of the philosopher, nor the weeping heart of a true lover of humanity. It was not that I had not had enough testimony as to these qualities of head and heart being abundantly present in him, but because my conception of religion was not wide enough to include all these under it. His marvellous achievements in the West were bringing us overwhelming evidences of his wonderful intellectual powers. But either from some constitutional necessity or my extreme poverty in that direction I was always attributing the brightness of his intellect to his highly elevated religious life, and it was this religious life that I expected to see in him. My idea of religion was then confined to purity and meditation. Sitting at the feet of the holy and good disciples of Bhagavan Shri Ramakrishna, I had learnt that these two were the indispensable conditions of acquiring spirituality and are the sure marks by which a religious man can always be known. My debt of gratitude to the blessed Swamis, at whose feet I had learnt these great lessons, is too large to be repaid. Personal contact with Swamiji instead of diminishing the value of purity and meditation in my eyes, has only enhanced it. At the same time it has heightened and intensified my conception of religion by adding new elements to it. Till I came in personal contact with Swamiji my temperament had led me to expect to see in him a man of intense purity and meditative inwardness. And I need not tell you that I was not disappointed. The First sight of Swamiji, the peculiar brightness of his face, his lustrous yet soft and sweet eyes, at once carried into my heart an overwhelming sense of satisfaction that I had come to a man that like of whom I had never seen before. Then when he began to talk to us making personal inquiries and giving us words of hope and encouragement with the cordiality of one truly interested in our welfare, we felt that our hearts were being drawn closer to him. To us who were very insignificant compared with his friends and visitors who were standing or sitting ground him in large numbers, this kindness on his part filed us with great joy and gratitude. Then the wonderfully free and frank way in which he was talking to his visitors revealed to us a heart that knew nothing of guile or fear nor cared a bit for social conventionality. The transparently clear and pointed words that were shooting out of his lips like meteors gave us a peep into the keen penetration of his intellect and the breadth and profundity of his mental vision. We felt ourselves in the presence of an overpowering personality whose immensity it was not possible for us to gauge, but which was drawing us to itself as by a tie of close personal relationship. There arose on the first day of our meeting an excellent opportunity of knowing something of his real humility. I say real humility because it had nothing to do with that sense of self-abasement with its external manifestation of facial contortions which so often pass for humility. It was self-effacement and was not therefore without the charming dignity of self-respect. A question from one of the visitors as to why Swamiji's lecture on his Master delivered in America had not seen the light of day, brought the bold confession: "I did not allow it to be published as I had done injustice to my Master. My Master never condemned anything or anybody. But while I was speaking of him I criticized the people of America for their dollar-worshipping spirit. That day I learnt the lesson that I am not yet fit to talk of him." These words were really startling to us for more than one reason. Here was a man who was being idolized, nay actually worshipped by so many, and this man in their very presence confessing his inability to represent his guru! "What an unpretentious man is before us", said we to ourselves. "What a wonderful man must his guru have been to occupy such a high place in the heart of this great man!" This, in short, was my impression of Swamiji on the first day of our meeting. As days went and I knew more and more of him, it gained greater and greater strength. I only saw on the first day the few sparks that shot forth into our range of vision from a soul aglow with the fire of divine love and wisdom. It was yet in store for me to see many more sparks from the same source that drew me near to it, gave me a closer view of it, and enabled even my icy cold heart to possess a little of its warmth. I have already told you that I had always thought that Swamiji's gigantic intellect was the result of his highly elevated life of purity. Greater acquaintance with him was making my belief stronger till one day his own words made it a settled conviction with me. 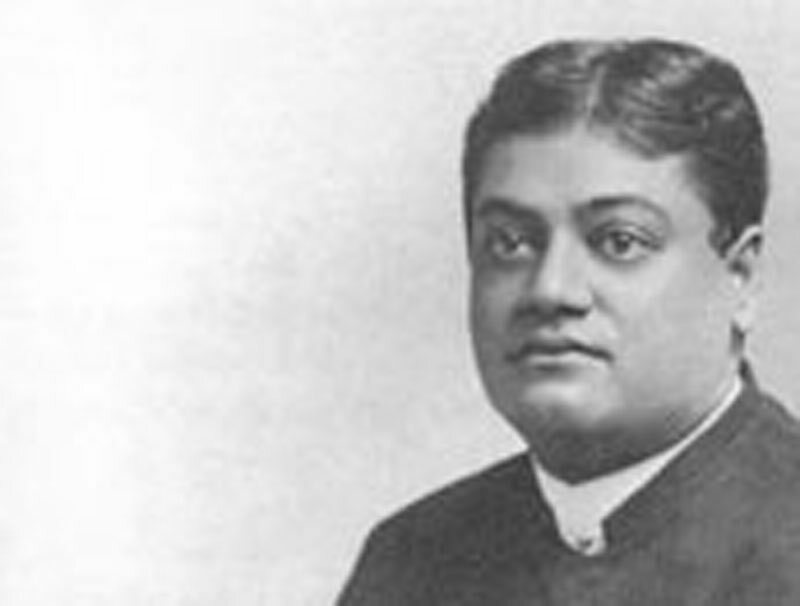 It was a memorable evening in my life, which shall never be effaced from my mind, when a question from one of his would-be disciples brought forth an exhaustive and stirring discourse on brahmacharya or sexual purity. In the course of the discourse he was explaining to us the incalculable value of purity in religious life, how to practise it, how religious fervour, suddenly aroused by working on the emotional side of man to the utter neglect of the moral and intellectual, is apt to produce great reaction on the sexual desires and so forth. Then at last when he came to talk of the infinite powers of strict sexual purity and how the animal propensity is converted into spiritual might, he warmed up to such a high pitch of earnestness that it seemed as if the transparent soul within was flowing out in torrents through his lips, bathing its hearers with its heavenly waters. The picture that was being drawn by his words in our minds saw its own prototype in the figure that stood before us. And I leave it to you, gentlemen, to imagine the effect of these concluding words of the discourse upon us: "My Master had told me that if I could attain to the perfect state of purity I had just described. I will have spiritual insight. I ventured to stand before the world only when I had been satisfied that I had attained to it. I earnestly appeal to you, my boys, to keep to this ideal with adamantine firmness. Pray, do not be unworthy of me. "On another occasion too I heard him speak of his spiritual insight which could at once see the end of a thing hidden in the womb of futurity, of which the beginning is only made. I must not be understood to mean that intellectual brightness is always a sign of spirituality. A man may have a great intellect without being in the least spiritual. On the other hand a man may be spiritual without having his mind stored with informations, vast and varied, or without the power to put his words in a logical form. But truth will always be his and will flash upon his mind of itself. My present idea of Swamiji's intellect has undergone some modification from what it was before I knew him personally. He combined in him spiritual insight with an intellect of the highest order. Truth came to him by intuition. But he would press his intellect into its service by giving it a logical form and making it convincing by a rich supply of facts and analogies stored in his brain. And the purity which gave Swamiji this spiritual insight was something extraordinary. It was not the fragile purity that can protect itself by keeping itself away from all corrupting influences. It had long outgrown the need of the citadel of isolation. But that was not all. It became aggressive, taking a sort of delight in encountering its enemies on their own grounds and winning them over to its side. In other words, it could not only keep itself untouched amidst corrupting influences, but could turn them into positive powers for good. Gentlemen, I cannot go into personal details on a subject like this. But my knowledge of Swamiji's marvellous achievements in this direction compels me to lay at his feet my deepest reverence; this one element of perfection in Swamiji would have been quite enough to compel me to give him the highest place in my heart. ...There was one more prominent feature of Swamiji's life which speaks to me volumes about his renunciation. I mean his dealing with rich men. Many of you are aware that among his foreign disciples some are very wealthy and a few of them came out to India to help Swamiji in his work. The treatment which he used to give them did not in the least differ from that given to his most insignificant Indian disciples. He was kind and loving by nature to all, but his love did not make him blind to their flaws and defects which needed mending. Gentle speech would not always serve the purpose, and Swamiji would have to be at times hard. And in this apparently unpleasant treatment, his wealthy disciples would have exactly the same fate as his begging sannyasins. At times, this would be too much for persons born and brought up in the lap of luxury and accustomed to hear words of praise and flattery From a worldly point of view, Swamiji paid dear for it. But did he ever regret? Far from it. The perfect unconcern which he showed whether rich people would stick to him or give him up is truly unprecedented. ...Of the few pregnant proverbs and epigrammatical expressions which Swamiji would never be tired of repeating, one was "— The giver of the head is alone the leader", that is, he atone can be a leader who is ready to die for others. And Swamiji's own life determines his place among his fellow beings. I have already told you that Swamiji was not only kind and soft but was very hard also at times. He could not only lay down his life for others, but could take arms against others if needed. Whatever he would think or feel he would do so with wonderful vehemence and intensity. And this whole-souledness was another marked feature of Swamiji's life. One evening in the course of a talk that Swamiji was giving to one of his disciples, opening his eyes to the fact that the disciple's inability to manage the servants of the Math (which was one of his duties then) and make them do their respective duties was a weakness and did not proceed from love, he said, "Don't think that your heart is full of love, because you cannot give them a little scolding now and then. Can you give your life for them? I know, you can't, because you do not love them. This minute I can die for them; but also I can hang them on this tree this minute if need be. Can you do that? No, my boy, namby-pamby is not love. Remember the words of the poet, —'Harder than the thunderbolt and softer than the flower', this is the ideal, No, love is not weak sentimentality." I have seen no man who could be so soft as Swamiji. The death of a gurubhai or a disciple would rob him of rest and consolation for days and days together. Some time in the year 1898, it pleased the Lord to take away one of his gurubhais. The pang of bereavement was so intense in Swamiji that for week he remained exceedingly heavy and absent-minded keeping as much away from others as possible. On the evening of the seventh or eighth day he came to the temple-room of the Math, and began to talk to those that were present there, like a simple child: "I did not come to the temple these days because I was very angry with my Master for having deprived me of my dear brother. I love them so much because I have lived longer and more intimately with them than even with my own brothers.... But why should I be angry with my Master? Why should I expect that all things will be ordained according to my wishes? And why should I be sad at all? Am I not a hero? My Master used to say laying his arm upon my shoulder: Naren, you are a hero; the very sight of you inspires me with courage.' Yes, I am a hero. Why should I then give way to grief?" ...Ask each one of his disciples, American or English, Bengali or Madrasi, and you will hear the same thing from all that their hearts were won by Swamiji's wonderful love and sympathy. Swamiji's marvellous intellectual powers, no doubt, evoked the awe of all. But this awe would have kept at a distance all unintellectual people like myself and would have proved more a barrier than a help to them to come in direct touch with him and drink from the fountain of his soul. Heaps of instances could be cited to show Swamiji's wonderful heart. ...And how can universal love be without the ever present consciousness of the closest kinship with the universe, without the realization that whatever is is mine, nay, whatever is is me? And this is brahmajnana (knowledge of Self) as our holy books describe it. This is the very core of Swamiji's teaching — The Selfhood of all — the Divinity of man. And this is, I am fully convinced, the key to his wonderfully versatile nature. He was a lover of all, because he was a jnani. And here I must tell you that the fatal illusion under which I had long laboured that jnana and bhakti are destructive of each other, dispersed in the presence of Swamiji as darkness before the sun. Swamiji was a tremendous worker because he was a bhakta and jnani. The tremendous energy that shook the whole world and is still at work awakening many a slumbering soul to its innate Divinity, instilling life into dead bones, bringing sunshine in the darkness of despair and love in dry, arid souls –, this tremendous energy owes its origin to his realization of brahman in all. Here too, I must tell you that the fatally-erroneous idea that karma is antagonistic to jnana and bhakti is dispelled at once by the life of Swamiji. I told you at the outset that before I met Swamiji I did not, on account of my limited religious views, expect to see in him anything of the warrior, the poet, the philosopher, or the philanthropist. But I found that he was all these and more than these. He was as much a poet as a philosopher; as much a sentimental visionary as a man of action. And he was all these, not in spite of his religion but on account of it.